Ronald Schernikau was born in Magdeburg a year before the Wall was built. At the age of six, his mother smuggled him across the border in the boot of her car to a town in West Germany where he wrote Small-town Novella while still at school, an excerpt of which can be read here in English. This coming-out story was a surprise success. 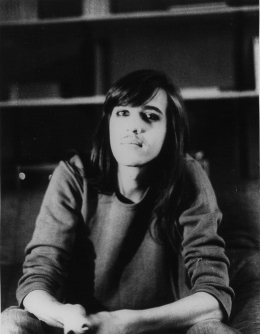 Schernikau moved to West Berlin in 1980 where he joined the SEW (Social Unity Party of West Berlin) and was a prominent member of Berlin’s gay scene. He was later accepted to study at the Leipzig Institute for Literature. His mentor, Peter Hacks, advised him to move to East Germany if he wanted to be a great writer, which Schernikau managed to do against the odds – but not until 1 September 1989, two months before the Wall fell. Two years later, Schernikau died from AIDS-related causes.